Part #9615 SPX Power Team 4-Way, 3-Position Solenoid, 15.5 lbs. Actuation – Solenoid operated, 115 volt, 50/60 Hz. Used on these pumps – Furnished with pilot lines and adapters for PE30 (with carrying handles removed), PE55, PE90 and PE120 series. For other pump models, consult factory. NOTE: A Pressure Switch and/or Gauge (Analog or Digital) may be attached to valves if desired. NOTE: Valves are shipped without control switch. CAUTION: To prevent sudden, uncontrolled descent of a load as it is being lowered, use a Load Lowering Valve (No. 9596) or Counter Balance Valve (No. 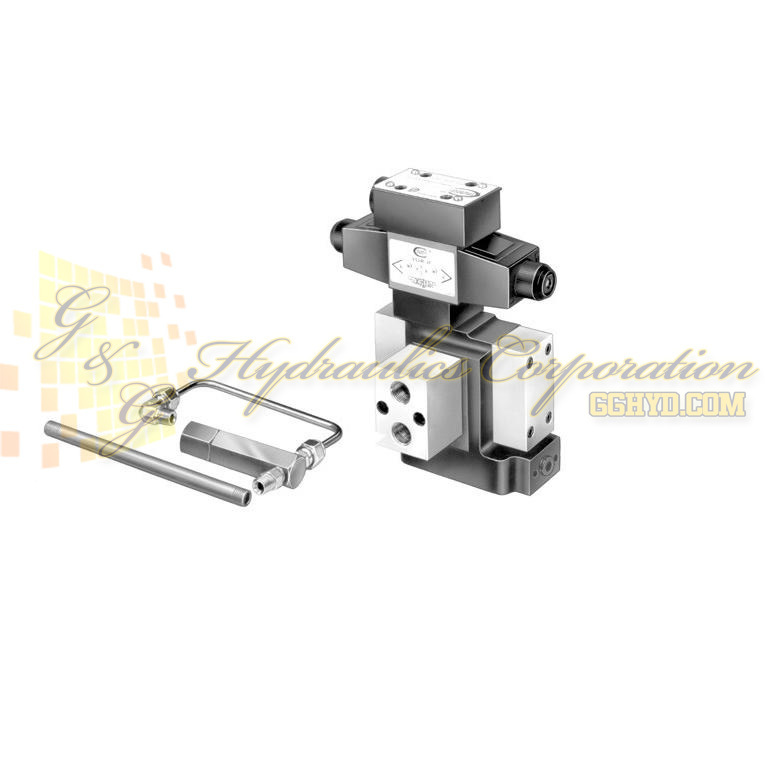 9720) in conjunction with the directional valve used in your application. IMPORTANT: When ordering any valve for a PE30 or PG30 series pump, ½” longer mounting screws are required. For valves 9513, and 9519, order four 11956 cap screws. For valves 9523, 9553 and 9589, order four 10855 cap screws. For valves 9522, 9590 and 9615, order four 10854 cap screws. * "D.A." represents double-acting cylinders.